Here’s a 7 minute remix that I used last night during the long (20 minute) grinding climb to the summit of Mt. Mitchell that finishes Epic Planet’s Blue Ridge Indoor Cycling DVD. They worked together awesomely. 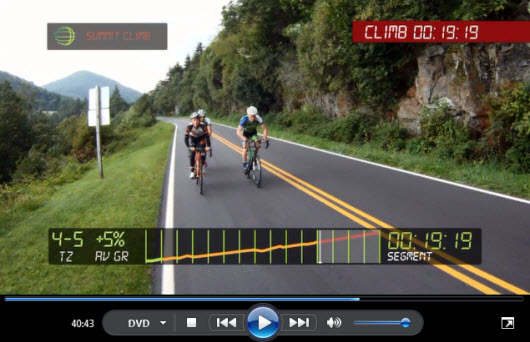 The slow 60 RPM cadence gets everyone working with the proper resistance. We then transition to something a bit faster, moving more of the work to their cardiovascular system, for the remaining 13 minutes. A real killer but they appeared to enjoy survive it. Here’s a link to my Epic Blue Ridge PRO/Playlist in Spotify. 20 minutes of climbing bliss.